Rather than create a single post-mortem, we segmented the information to better capture what you the reader are interested in. Today we're posting the summary of Young Horses' and Octodad's overarching story. Next week we'll be releasing the Production, Design, and Tech deep dives which we'll also link to here once posted. If you're just interested in the stats we have those in a handy infographic here. Octodad: Dadliest Catch is the sequel to Octodad, a game about destruction, deception, and fatherhood. The player controls Octodad, a dapper octopus masquerading as a human, as he goes about his life. Octodad's existence is a constant struggle, as he must master mundane tasks with his unwieldy boneless tentacles while simultaneously keeping his cephalopodous nature a secret from his human family. The original Octodad was created at DePaul University in Chicago in 2010 by eighteen students, overseen by faculty advisors Patrick Curry and Scott Roberts. Eight of the original team members would go on to form our studio Young Horses. When anyone hears about Octodad, the first thing they ask is, “How did you come up with this crazy idea?” We’d like to say we’re creative enough to just pop out crazy ideas all the time, but the truth is that we had a very formal process of pitching ideas, repitching, starting over, and creating experimental prototypes. Our goal was to enter a game into the Independent Games Festival (IGF) Student Competition at the Game Developers Conference (GDC). Because the festival has a preference for unique and unheard of ideas, we made sure to steer clear of common video game tropes (i.e. Space Marines, 2D Platformers, Fantasy themes, etc.). Being John Malkovich is an interesting film for multiple reasons, but the part we were most interested in was existing within someone else’s mind and controlling their actions. John Murphy, Seth Parker, and Nick Esparza brought this to the team as a pitch, “What would it be like to control another person’s movement in minutiae?” As we chewed on the idea, it changed from a person inside another person’s head to an octopus inside a robotic suit, and finally to just an octopus wearing a suit. 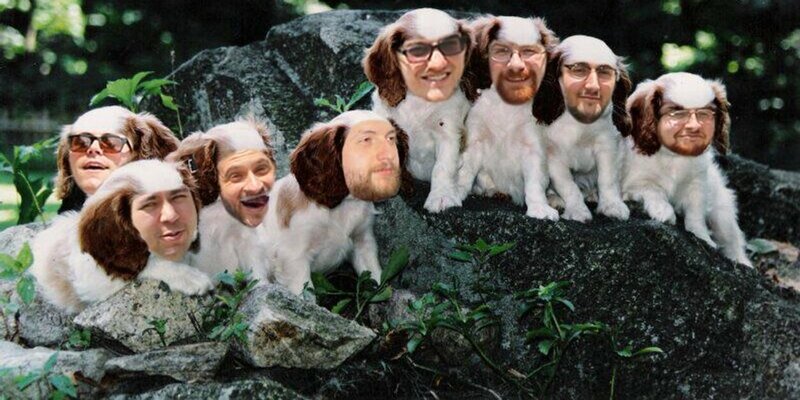 Our team was made of funny people, so playing the idea for comedy made sense to us. The team agreed that it would be funnier if nobody realized that Octodad was an octopus, and that he would have to maintain his disguise in public. Octodad passes as human by acting as ‘normal’ as possible. His insecurity lies in hoping others never find out what he truly is, especially his loving, idyllic human family. Octodad’s inner struggle makes him an endearing character, and helps connect him with players. 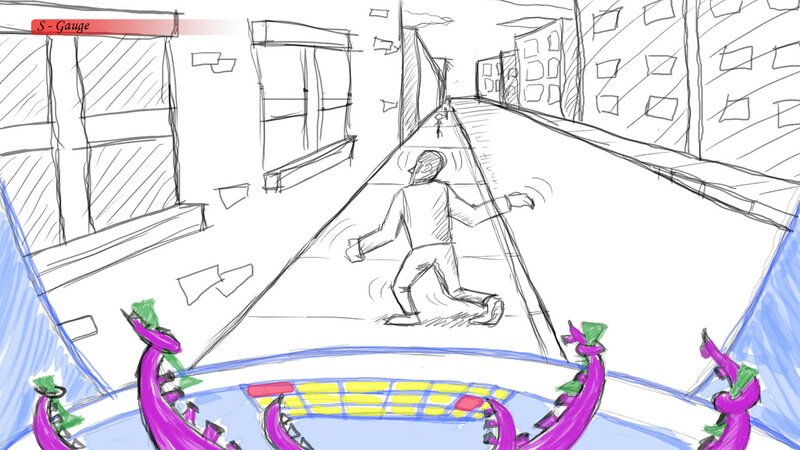 Marrying game mechanics with theme was important to us, because we had never seen a comedy physics game with heart. Our team worked on Octodad five or more days a week for five months. We entered it into the IGF and released it to the public on November 1st, 2010. At that point we had only shown it to close friends, and we were unsure if it was good at all. To our surprise, there was an explosion of excitement on the internet. Octodad was suddenly in articles on the press outlets that we had grown up reading and was being talked about by other developers who we respected. On January 10th, 2011 the nominations for the IGF Student Competition were announced and Octodad was chosen out of nearly three hundred international entrants to be one of the eight Student Showcase finalists. With this nomination, we got to attend the IGF Awards and put our game on display at GDC. We ultimately lost the prize (to the amazing FRACT) but just being there was worth it. The whole team of eighteen attended GDC, where we held an an impromptu team meeting at our hostel to discuss what we would do with Octodad going forward. 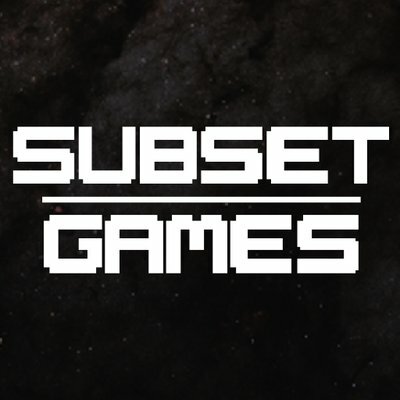 We were surprised by the attention it had gotten, and thought it might be worth building into a professional, sellable game. Some of us wanted to go independent and become our own studio, while others wanted to work at larger studios, making big-name games. Forming your own studio is a scary thing to do, and back then ‘going independent’ was more so uncharted territory. When the meeting ended, we had a newly formed team of nine that would become Young Horses. We wanted our own studio to be independent, creatively untethered, and self-funded. However, we didn’t have a vast pool of money, and we had no guarantee that fans of our free game would want to pay for its sequel. Kickstarter became a possible solution to our problems. At the time, Kickstarter was new, and video game projects didn’t raise much money. But running a campaign gave us something to work towards, and a concrete way to confirm that, yes, our game was worth making. After looking at other Kickstarter campaigns, we decided that $20,000 would be feasible to raise, and would be enough to cover our company costs like licensing and buying space at conventions. We would forgo paying ourselves because we simply couldn’t afford it. On July 10th, 2011 we launched our Kickstarter for Octodad 2, and by August 10th we’d raised $24,320. We did it! Now all we had to do was make a game...and release it to thousands of people...and make sure people actually knew it was being built… No big deal! 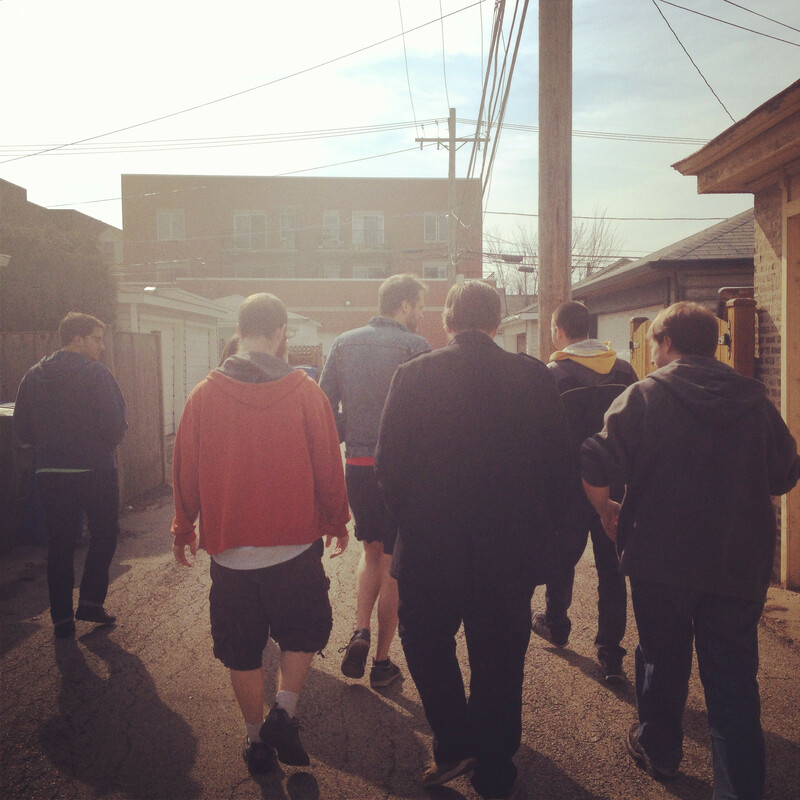 When the project started, our members were scattered across different cities. We wanted to stick closer together so that we could stay in constant contact. This led six of us to move into one apartment in Chicago and transform it into our de facto office. Having a centralized place to work was invaluable, but living together all the time caused plenty of strife. Our schedules were very different, some of us worked full-time jobs and then came home to work on Octodad. Some of us never left the apartment. Our social lives suffered, our student debts loomed, and our personalities clashed. A rift formed between those who lived in the apartment and those who only visited. Our communication broke down often, as we could only reliably get together once a week. This was especially dangerous so early in the project, when so much had to be decided. Too little too late was done in the name of fixing these issues and after having been a company for two months one of our teammates left the project. After the first year, we decided to move apart...and into two apartments in the same building across the hall from one another. 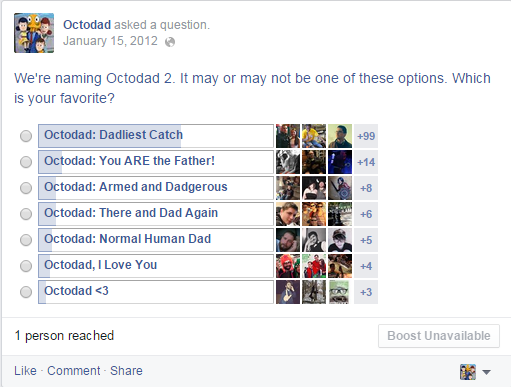 Around this time we also announced the game with its new name Octodad: Dadliest Catch. Funnily enough, it wasn’t our first choice, but a majority of our fans voted for it in a Facebook poll. We ran with it, and haven’t looked back since. We knew we needed at least a short trailer to show off our progress, what we intended to do, and to tease what the game would be about. In addition to our cute mascot and punny name, we wanted a catchy theme song for our announce trailer. The original Octodad borrowed “I Love You, Octopus” with permission from Dalmatian Rex & The Eigentones. Having that kind of cartoony-but-indie opening song really created interest in our trailer and helped carve an identity for the game. After trying to write a few songs ourselves, we asked our good friend and independent artist Ian McKinney to compose something, and he wrote “Nobody Suspects A Thing”. It caught on like wildfire after the trailer launched March 5th, 2012 and has since inspired tons of covers and singalongs. Just like the first project, the song really helped to catch the public’s eye and push us into the zeitgeist. As the game became complete enough to show in public, we began to take it to conventions like the Penny Arcade Expo (PAX). It was important to keep putting the game out there, to raise awareness, to build our confidence, and to find all the bugs and issues we hadn’t worked out yet. Public demos worked well for Octodad in particular due to its wild premise and spectator-friendly humor, which inspired players to run out and tell their friends all about it. Word of mouth was huge in raising awareness for us and the game, especially since we had no budget for traditional marketing. YouTube was also fertile ground for our independent grassroots style. The humor and unpredictable physics of the original Octodad generated countless unique situations, so YouTubers would constantly create videos of themselves playing. 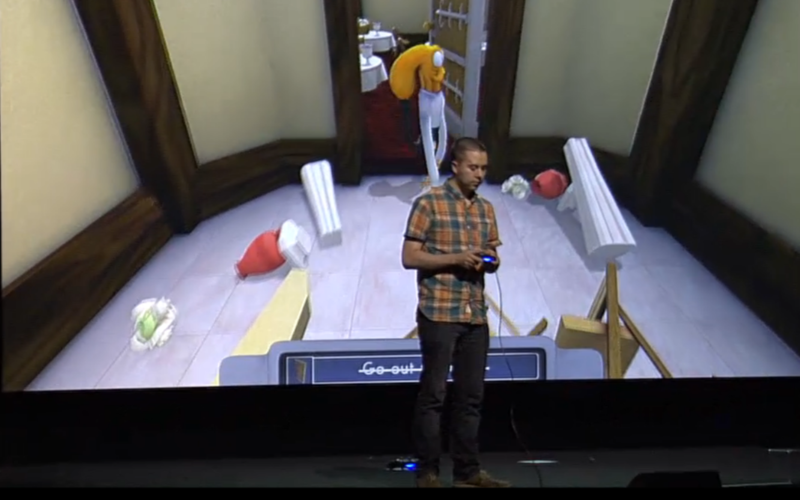 Their enthusiasm for Octodad was in part what convinced us that we could make it as a studio. We reached out to people who played our first game and sent them early builds of Dadliest Catch in the hopes that they would play it for their audience. We were lucky enough to stumble across the power of YouTubers just before Let’s Plays became a major cultural phenomenon. Even today, they’re still making videos and spreading awareness of Octodad. In 2013, we were approached by Sony with an offer; they would put Octodad: Dadliest Catch on stage at the Electronic Entertainment Expo (E3), arguably the largest annual industry show, if we got it working on Playstation 4 in time. We had already done some groundwork getting the game ready for consoles, and we were able to get the game running on the PS4 within a month. Showing on stage, broadcast to millions of viewers, was invaluable. Sony continued to show the game at over 20 shows worldwide and support us in other interesting ways, like creating two life-sized Octodad mascot costumes. Our team size was fortunately large enough that we were able to dedicate all of Phil’s time to PR and marketing. It gave us a constant point of contact for dealing with other companies, and kept business from interfering with development. The hidden downside to this was our company identity. The media and the public want a face to latch onto, an artist and/or genius to credit. But Dadliest Catch was a messy, well timed collaboration between equals. We did our best to keep pushing everyone on the team into the spotlight, to highlight all of the voices that went into the game. Selling your team and its persona can be just as important as selling your game, especially when you’re independent. We always did our best to be ourselves, and to be honest. On January 30th 2014, after two and a half years of development we released Octodad: Dadliest Catch on PC, Mac, and Linux. Our team was drained from months of constant work and worry leading up to that point. But after our first month of sales, we saw that our worries were for nothing, Octodad had found his audience. 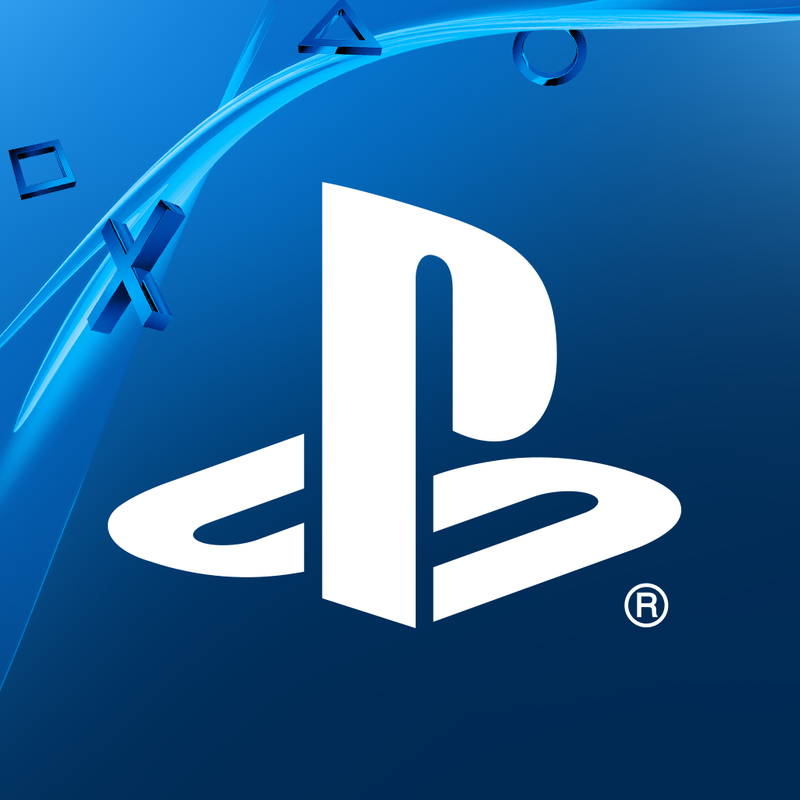 After that, we worked hard to fix remaining issues in the game before releasing for the PS4 on April 22nd, 2014. Our whole studio finally went full-time at Young Horses, quitting our day jobs. From there, we worked on additional levels called Octodad Shorts to release as a free update as thanks to all of our fans. As of January 25, 2015, Dadliest Catch has sold over 450,000 copies and grossed nearly $5 million. Our success is uncommon in independent games, and there were many times when it could have ended in disaster. We’re very grateful for the opportunities we’ve been given and proud of what we’ve accomplished. Lately we’ve been working to figure out what’s next for Young Horses through prototyping new game ideas outside of Octodad. We’ve super grateful and excited to be self-funded and working full time Horses as we move into pre-production on our next dumb video game. You can learn more about Young Horses and Octodad via our website and by following us on Twitter.